Brindle & Glass, 9781927366028, 312pp. When Marie MacPherson, a mother of two, finds herself unexpectedly pregnant at thirty-nine, she feels guilty. Her best friend, Elizabeth, has never been able to conceive, despite years of fertility treatments. Marie's dilemma is further complicated when she becomes convinced something is wrong with her baby. She then enters the world of genetic testing and is entirely unprepared for the decision that lies ahead.Intertwined throughout the novel is the story of Margaret, who gave birth to a daughter with Down syndrome in 1947, when such infants were defined as "unfinished" children. As the novel shifts back and forth through the decades, the lives of the three women converge, and the story speeds to an unexpected conclusion.With skill and poise, debut novelist Theresa Shea dramatically explores society's changing views of Down syndrome over the past sixty years. The story offers an unflinching and compassionate history of the treatment of people with Down syndrome and their struggle for basic human rights. 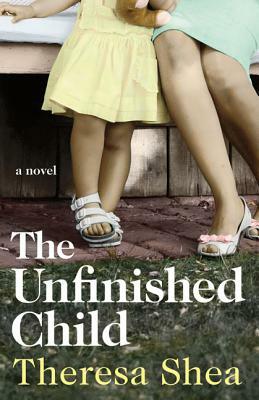 Ultimately, The Unfinished Child is an unforgettable and inspiring tale about the mysterious and complex bonds of family, friendship, and motherhood.